As with most financial decisions, picking a credit card is a good opportunity to check in with your values. Can you express your values while picking a credit card? The answer is a qualified yes. Banks issue most credit cards. The recent downturn revealed a lot of problems with banks. I can’t say that every big bank is predatory and all credit unions and local community banks have pristine ethics. However, I feel better when I use a credit union or local community bank. There’s no denying that big banks lead the credit card industry. They have the best rates and come up with cool, convenient, innovations. The do-gooders, unfortunately, often lag behind. Still, it’s worth comparing the deals I’ll talk about later with credit cards to what you can get at your local credit union or community bank. I’ve had a credit card at a credit union for years, and I still use it as a back up card. I don’t have to monitor the card and constantly evaluate if it’s the best deal. It’s never the best, but it’s generally better than most cards. Probably the biggest reason I have mixed feelings about credit cards is that some people can’t handle them wisely. I see the situation more than I wish I did. If you can’t pay your balance monthly, it’s a sign you are overspending. Paying interest and monthly fees negates the advantage of cash-back and rewards cards. Fix that problem before signing up for fancy credit cards. The problem with looking up the best credit card deals online is that I suspect most of those links are connected with a kickback from the credit card company to the source of the recommendation. It’s editorial pay-per-click. To get objective opinions, I asked my colleagues in the Alliance of Comprehensive Planners. We’re all fiduciaries and don’t take kick backs for recommendations. Here’s what they said. The idea of a cash back card is straightforward. You get a card and it gives you a percentage back on everything you spend. The best deals have unlimited cash back. They also run promotions that pay extra cash back when you buy items in certain categories, such as office supplies or gas. 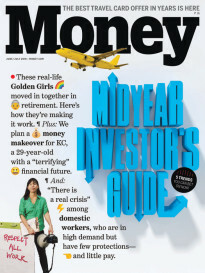 Capital One Quicksilver:Advisers say this is a good basic card with unlimited cash back. Fidelity Investment Rewards American Express With these cards, your 2% cash back gets added to your Fidelity brokerage, 529 college savings, regular IRA or Roth IRA account. You still have to meet the requirements of the underlying account. If you like international or luxury travel, rewards cards can make more sense than cash back. Tony Noto of Noto Financial Planning of swears by them, while admitting that evaluating rewards cards can become a hobby. Tony says, “I like card programs that keep things simple with flexibility, which is why two of my favorite cards are Chase Sapphire Preferred and the AmEx SPG card.” (SPG stands for “Starwood Preferred Guest.”) “Chase is a great card for me because I have a lot of spending on travel and meals—both 2x reward categories—and no foreign transaction fees,” says Tony, “and I could transfer the miles to airlines like United and Singapore Airlines. Flyertalk.com is a forum that he considers the master resource. Boardingarea.com aggregates credit card and rewards program industry blogs. Think about a trip you want to take and estimate how much it will cost in dollars. Next find out how many rewards points it takes using a particular card. Divide the dollar cost of the trip by the reward points it takes to “buy” the trip. See if each reward point is worth over 2 cents. That seems to be the current standard for a decent deal. Also, think about your spending habits. If you drive a lot, maybe you want a card that gives you extra rewards on gas. Third, ask yourself, “How do I want to use reward points?” Then get a card that makes using points on that particular thing easy. Merchandise awards (for the latest gadget from Apple, or workout equipment) tend to be not worth the points. Travel and cash back are the winners. Personally, rewards cards give me a headache. I find the programs hard to evaluate, a pain to keep track of, and—just when I’ve earned enough rewards to do the thing I’ve been “saving” for (which actually means spending a lot)—they change the program. Maybe I’m just bitter because I found out that my rewards card is devaluing its rewards. One adviser (not just me!) recommends looking at MONEY for advice. This is great because Money.com doesn’t participate in pay-per-link with its editorial recommendations. 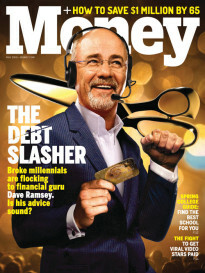 I like one MONEY article because it gets granular on which credit cards are best in your particular situation. The website also has an annual Best Credit Cards wrap-up. Some membership organizations offer sweet deals. USAA’s card is 1.5% cash-back, plus it already has European PIN security. Membership is open to you if you or someone else in your family is a member of the armed forces or a veteran. Lots of people like the Costco card, which recently changed from Amex to Visa. Credit cards that help you give donations to charities are a great idea. But you have to read at the fine print. The amount actually given to charity tends to be low, like .08% instead of the 1.5% or 2% that some cash-back cards offer. Until I see cards that have donation percentages competitive with the cash-back cards, I’ll stay on the sidelines with this idea. Bridget Sullivan Mermel helps clients throughout the country with her comprehensive fee-only financial planning firm based in Chicago. She’s the author of the upcoming book More Money, More Meaning. Both a certified public accountant and a certified financial planner, she specializes in helping clients lower their tax burden with tax-smart investing.